Bushido, or "Way of the Warrior", defines the code of conduct an honorable Samurai must follow. Much more than the western ideal of chivalry Bushido is a way of life; in both ancient and modern times. 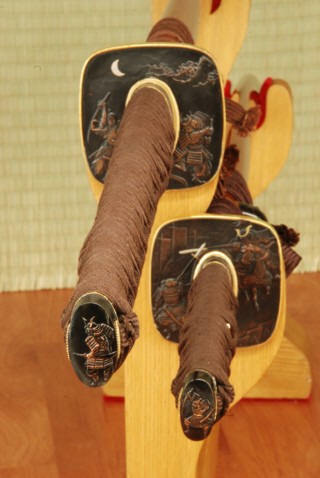 The koshirae of the Bushido set features various samurai battle scenes. The blades of each are hand-forged and folded from K120C powder steel. The saya are deeply lacquered in gold with inlaid brass cherry blossom (sakura) flowers. 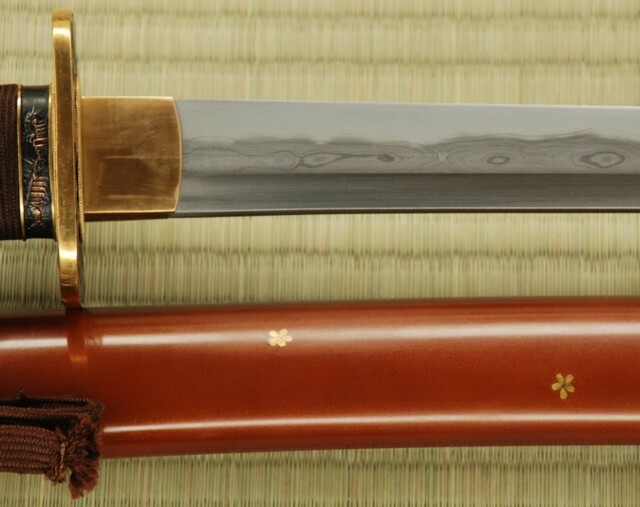 High quality ray skin (same) is used on the tsuka of the katana and wakizashi, while the tsuka of the tanto is a gold-plated brass with decoration in relief. The tsuba of the katana and wakizashi is of blackened and bronzed iron, with detailing in gold and silver and a battle scene decoration. The tsuka-ito on the katana and wakizashi and the sageo on all three pieces are woven from premium Japanese cotton. The fuchi and kashira are of blackened bronze with brass detailing, and the kojiri, koiguchi and kurikata are of polished buffalo horn. The habaki is a one-piece brass construction. The katana and wakizashi blades are un-grooved. 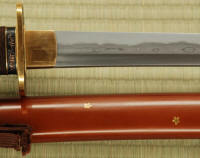 The katana and wakizashi have medium-length (chu) kissaki. The golden menuki are of hydrangeas in bloom.